"Fat Absorber Diet Plan. The Las Vegas Buffet Buster! Makes foods fat free. Fat Absorber is a great product to help lose or maintain weight. It features Chitosan. This natural product is being used by millions to absorb fat in the digestive system allowing it to pass with little or no side effects." Chitosan is a naturally occurring substance which binds to fat in the digestive tract. The fat bound to the Chitosan is not metabolized by the body and is excreted. Chitosan has been shown to inhibit bad cholesterol and promote good cholesterol making Chitosan a powerful weight loss aid. 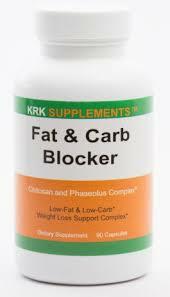 Fat Absorber: Carb and Fat Blocker Supplement is formulated with a 100% natural blend of Chromium Polynicotinate, Phaseolus Vukgaris, Chitosan Guarana (seed) and Coleus Forskohlil Extract to prevent the absorption of fat and carbs in the body. It actually decreases the amount of fat and carbs absorbed by your body by bonding the fat before it is metabolized. By taking 1 capsule before a meal that is high in calories, you can reduce the amount of fat and carbs your body absorbs. Every bottle contains 90 capsules.